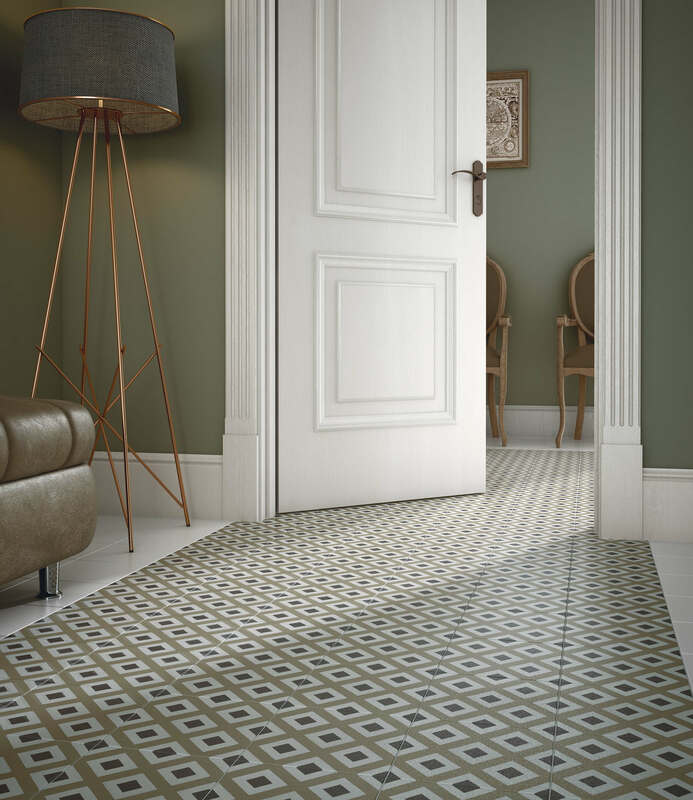 The unique and colourful Vintage collection features an eclectic mix of sophisticated encaustic tiles that will fire your imagination and put no limit on the number and combination of beautiful designs that you can create for your project. Say hello to Vintage: Bright, Vintage: Hue and Vintage: Mono. 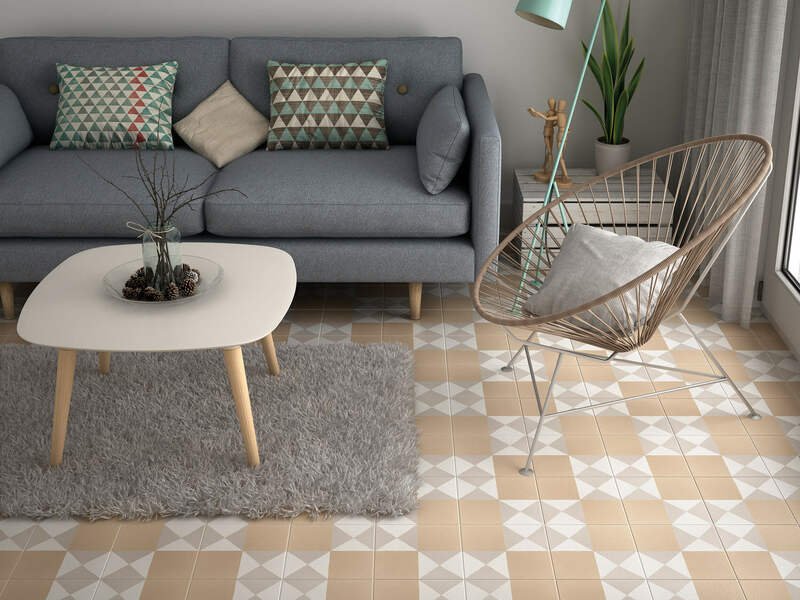 The Vintage collection comes in the traditional 20x20cm tile format and uses 3 contrasting shades on a variety of diverse classic and modern patterns. Use them individually or mix them up to create stunning patchwork-like compositions. The Vintage: Bright range within the collection includes contrasting bright blues, greens, pinks and yellows through traditional geometric designs. To see this range in all its full glory please click here. The Vintage: Hue range within the collection includes softer beige, lilac, dusty pink and pale blue tones, lending themselves perfectly to elegant, more traditional designs. To order your free samples please click here. 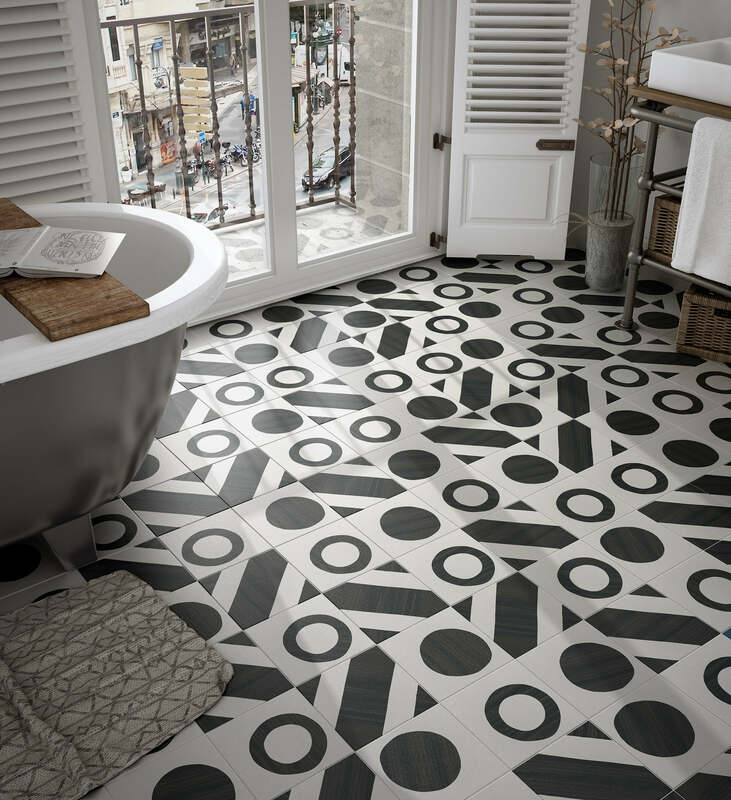 Vintage: Mono includes eight bold black and white tiles, with their modern 3 dimensional-effect designs will make a stunning and high contrast impact across any space. To delve into this range please click here.